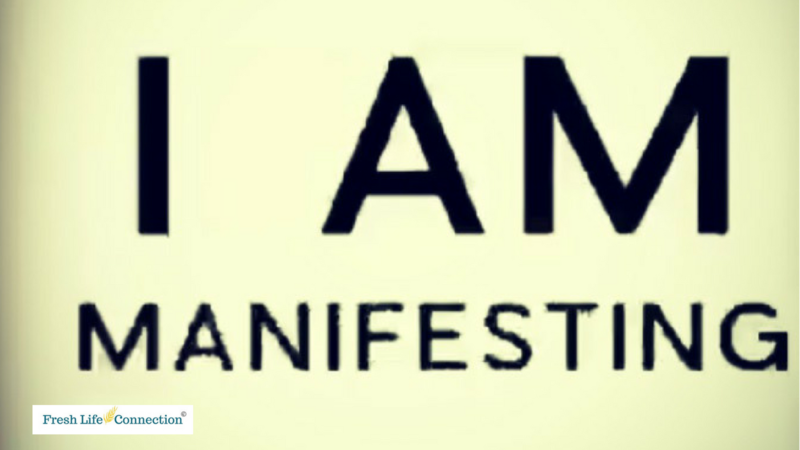 At every moment from birth to death I am manifesting...and so are You! You may have seen something I've written before on this subject. I'm doing it here and will do it again because it's that important and I know I need to be reminded of it on a regular basis so I want to offer a reminder to you too. We become what we think and feel...period. Yesterday's thoughts become tomorrows reality. How does this happen? Here is my understanding of this process. What we think creates emotions, it's not often we have a neutral emotion, meaning neither good or bad feeling about a thought. The thought may be very subtle but we will have a feeling about our thoughts. This happens due to our survival as a species. The way our body works is still rooted in our fight or flight mechanism within our nervous systems. In order for our nervous system to receive any signal, we need to have an emotion, a vibration attached to it. This then allows our mind to choose how we will react or respond to any given situation. With this idea in mind, and knowing what we do about vibrations, which is energy, and knowing what physics has taught us about energy, which is, like attracts like, it explains how we attract what we think. Said another way, if your thoughts are a good feeling, at least most of the time, then you will attract more happy people and pleasant events. This works both ways...So when you notice you are feeling bummed, frustrated and so on pay attention to what is going on around you. Are there lots of happy people, or are you seeing the more negative side of those around you? OH, and it's not only the people you interact with you might notice your computer is acting up or your car or a tree fell in your yard and so on. This interaction with our universe has been known for centuries, it has been written about in all of the religious texts. The philosophers have done their best to explain this concept to all of our passing generations throughout the world. When you decide you're ready to focus more on having, creating Positive Thoughts in your day I have just what you need. As I've mentioned in other emails I've finally completed the courses based on P-R-A-N-A a Life-Giving Force. The first in this series is P - Positive Thoughts. This is a step by step guide with many different resources to use throughout the rest of your life. Some of these techniques can be taught starting as young as 2-3 years of age and utilized from then forward. I've personally used everything in the 6 lessons within the first module of P-R-A-N-A, Positive Thoughts. The wonderful thing about what I'm sharing here is you can use what you need when you need it and then again years later. These techniques are easy to learn, and I'm here to work with you 1:1 when needed. I offer LifeStyle Coaching sessions in person or via a video source like skype or messenger. Contact me here; [email protected] or 937.642.6909. If you'd like to start today Living Your Intentional Life this link will take you to Positive Thoughts offer.